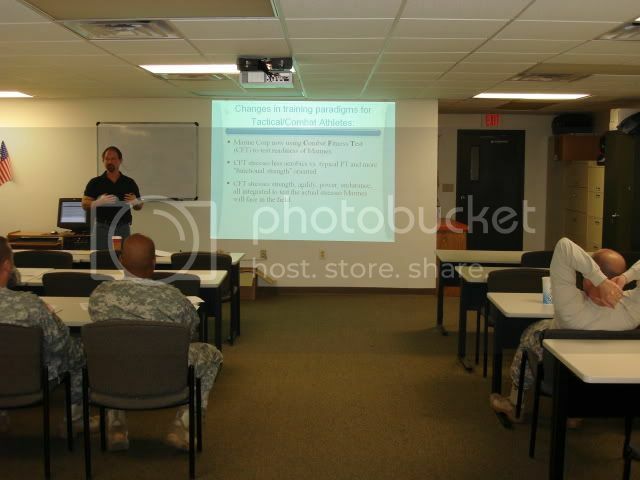 Did a seminar for the Waterbury CT RRT/SWAT team at their Training Division Headquarters 4/15/09. I try to cover a broad range of topics applicable to tactical athletes, such as supplements, nutrition, and training, but considering how extensive each of these topics are, and all could be a long seminar on their own, it’s a balancing act at best. I always supply a bunch of handouts to give them additional reading on the topics covered, as well as a recommended reading list. They, like any group of people concerned with their performance (and in their line of work, coming in second place in not an option…) they are bombarded with conflicting information on supplements, not to mention training and nutrition. My aim is always to help them narrow down the information, and per my general mission in life, separate the BS from the truth. 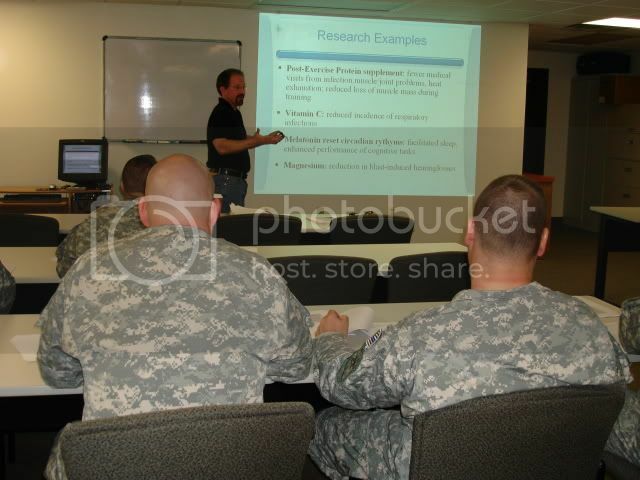 Via this site, additional seminars/courses, as well as my Practical Applied Stress Training (P.A.S.T) Program. For info on P.A.S.T. see Products Section of this site. CT SWAT Challenge 2008: Guns, Gear, and Gadgets!